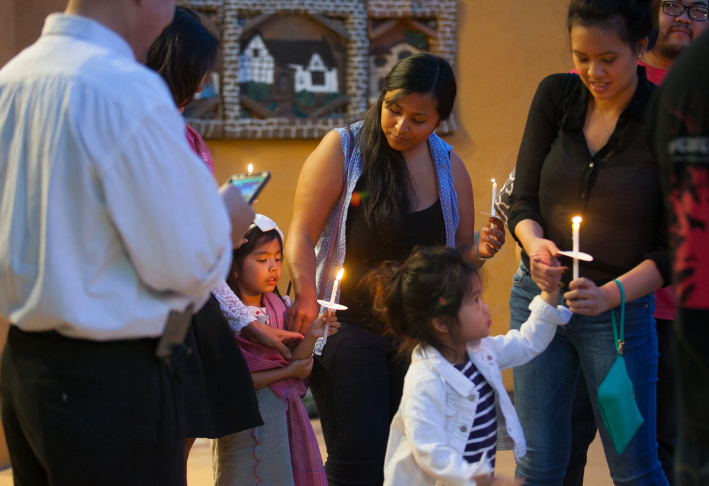 Five-year-old Zyriah Thoeun (center) participates with her family and friends in a candelight vigil during the Cambodian Genocide Remembrance Day event at the Expo Arts Center in Bixby Knolls, (Long Beach), Calif. on Friday, April 17, 2015. 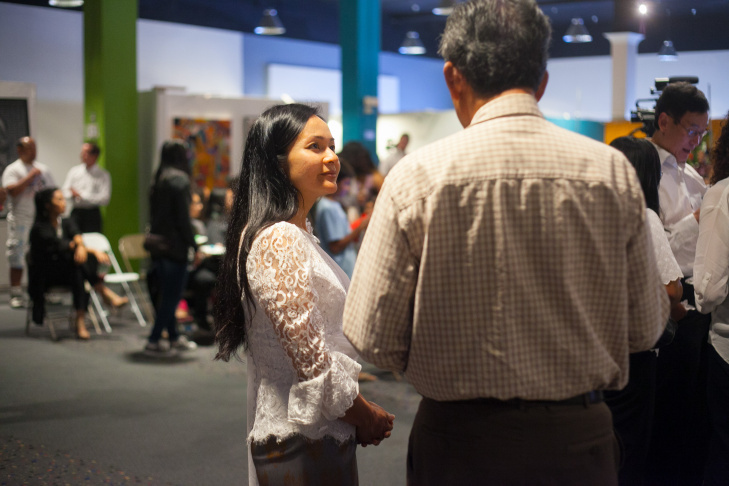 Laura Som of the MAYE center chats with community members at the Cambodian Genocide Remembrance Day event at the Expo Arts Center in Bixby Knolls, (Long Beach), Calif. on Friday, April 17, 2015. 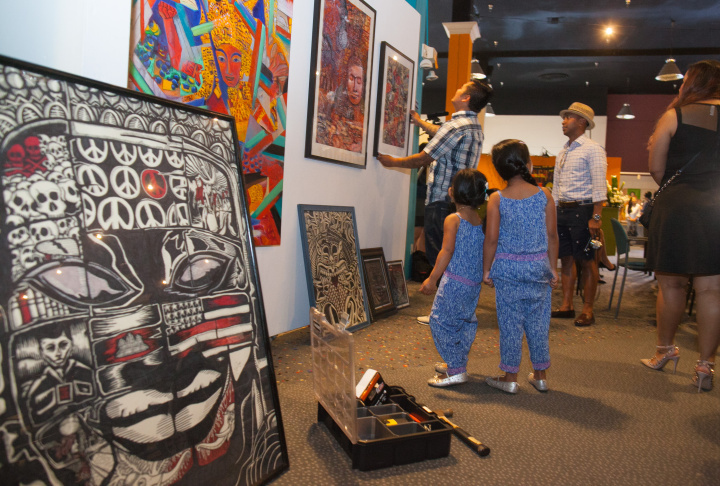 Local artists display work at the Cambodian Genocide Remembrance Day event at the Expo Arts Center in Bixby Knolls, (Long Beach), Calif. on Friday, April 17, 2015. 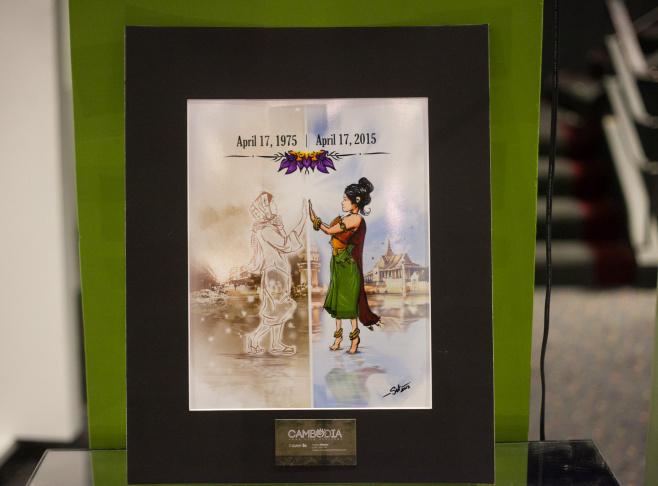 Artwork on display at the Cambodian Genocide Remembrance Day event at the Expo Arts Center in Bixby Knolls, (Long Beach), Calif. on Friday, April 17, 2015. 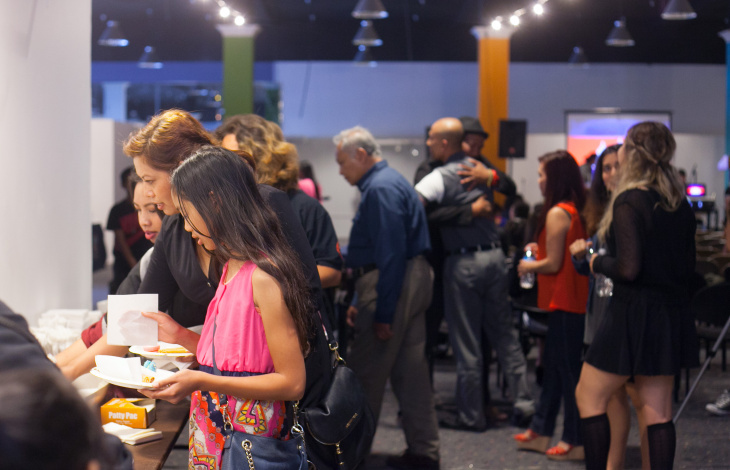 Participants in the Cambodian Genocide Remembrance Day event line up for snacks at the Expo Arts Center in Bixby Knolls, (Long Beach), Calif. on Friday, April 17, 2015. 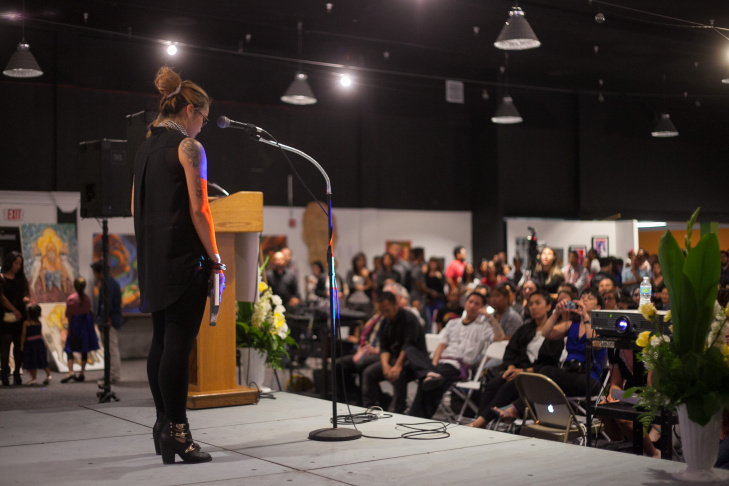 Kelly Pheng performs a spoken word piece, "History of a Dream," at the Cambodian Genocide Remembrance Day event at the Expo Arts Center in Bixby Knolls, (Long Beach), Calif. on Friday, April 17, 2015. 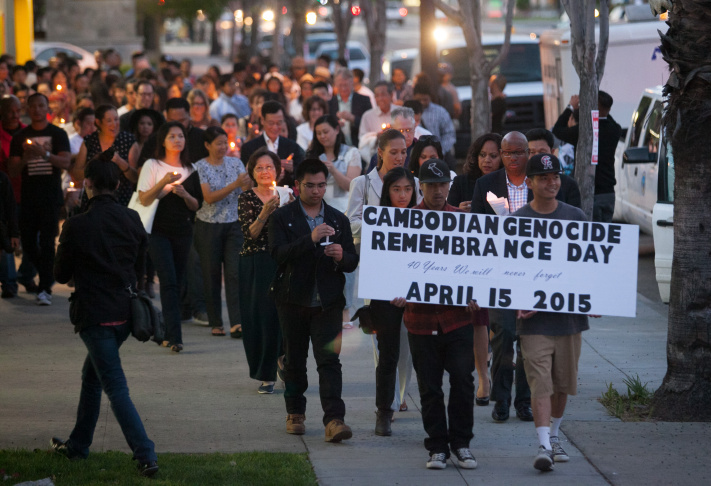 Cambodian Genocide Remembrance Day event at the Expo Arts Center in Bixby Knolls, (Long Beach), Calif. on Friday, April 17, 2015. Four decades after the Khmer Rouge seized control of Phnom Penh, Cambodians in Long Beach are still coming to terms with the tragic events that sent thousands fleeing their homeland. "It was really chaotic," said Lian Cheun, who escaped from a prison camp in Cambodia as an infant along with her parents. "Everybody had survival in their mind, trying to figure out how to reconnect with family, trying to find family that are missing." 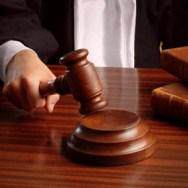 In some cases, family members were split up in the labor camps set up by the Khmer Rouge. When the regime fell in 1979, the country was in turmoil, prompting many to make for the border with Thailand, where they spent time in refugee camps on the way to the U.S. In Long Beach, Cambodians have established a close-knit community and a busy business district, but the experience of the past is often never far behind. 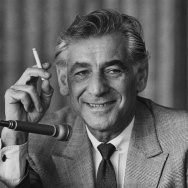 "The Vietnam War spilled over into Cambodia starting in the mid 1960s when the U.S. escalation in Vietnam began to build up," said Ben Kiernan, a history professor and director of the Cambodian Genocide Program at Yale University. During the Vietnam War, the U.S. carried out an extensive, and then-secret, bombing campaign in neighboring Cambodia and Laos. The rationale was to pursue North Vietnamese forces, or paramilitary groups, as they crossed borders. That campaign dropped some two million tons of bombs on Cambodia ­– more than the total amount dropped during all of World War II, according to an analysis of government data released by the Clinton Administration in 2000. 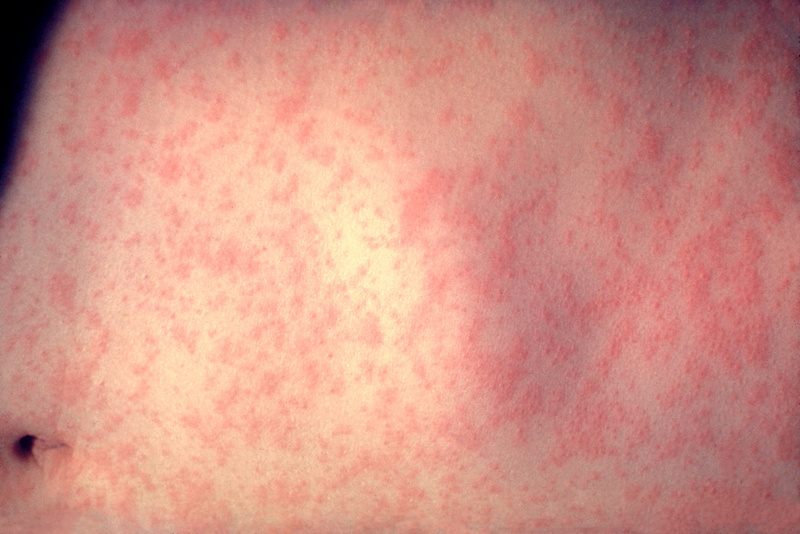 But they often hit indiscriminate targets. "The bombs hit weddings, funerals, village communities. Sometimes many, many houses and villages were destroyed while people were inside them," said Kiernan. He estimates that the U.S. bombing killed 100 to 150,000 people in four years. Soon after, the Khmer Rouge took over control of the country, launching a reign of imprisonment and killing that left some 1.7 million Cambodians dead and many more displaced. "We are now seeing the transmission of trauma, from the first generation to the second generation and it’s coming out in different ways," said Cheun, who today runs a non-profit called Khmer Girls in Action in Long Beach. More than 60 percent of Cambodians in the area reported post-trauma symptoms and more than half showed major depression, according to a 2005 RAND study. 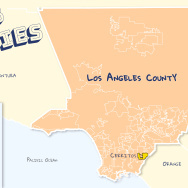 "I grew up really rejecting my identity," said Kelley Pheng, 26, a student at California State University, Long Beach. As a young Cambodian American, the weight of the past was often difficult to cope with, she said. "The confusion and grasping and accepting the history of our people, the things that my parents really did go through, the suffering that they had to endure," she said. "A lot of our people are not here with us today and those are the people we can't forget." Som-Rothmony says she fled Cambodia as a young girl herself, after being separated from her father when she was six. She remembers Khmer Rouge raids in her village that forced her to rush underground for safety. "Sometimes, we didn't have any food so we would eat a bowl of rice with salt," she said. 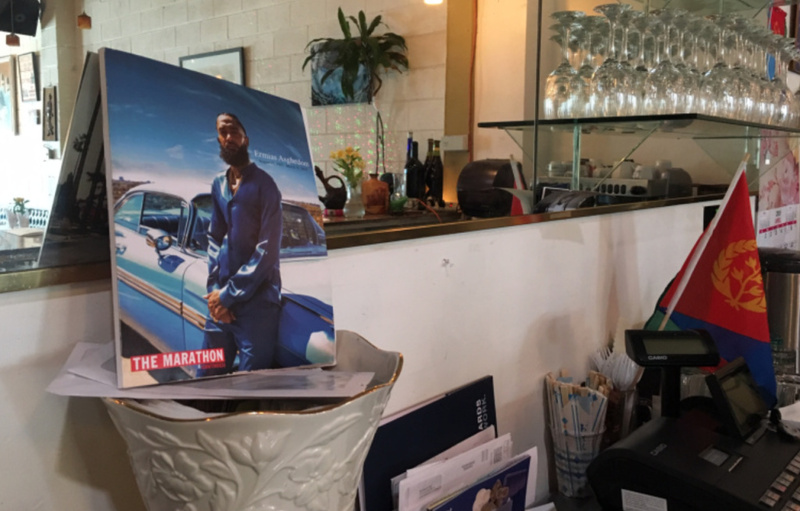 "But in the village the resiliency, the healing process was phenomenal." Today, she draws on traditional healing – such as gardening and meditation – to teach Cambodian elders and youth at the MAYE Center in Long Beach. At a recent evening at the Long Beach Expo Center, she joined families from the Cambodian community to commemorate the anniversary of the genocide. She stood next to a stage, where 32-year-old Andrew Yinn played traditional music that was once banned during the Khmer Rouge regime. The scene of about 300 Cambodians listening intently to the music was a sign of hope, she said. "For me it means we have overcome the atrocity of the genocide [to] bring back our culture," said Som-Rothmony. Augie 'Kid Vegas' Sanchez and his win over Floyd Mayweather, Jr.